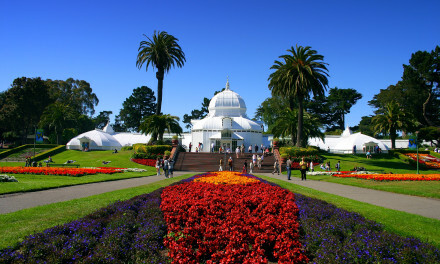 With an embracing deep green backdrop, the new and improved children’s playground at Golden Gate Park was reopened in 2007 and renamed the Koret Children’s Quarter. As you enter the large play area, the laughter and energy of local children often fills the air. 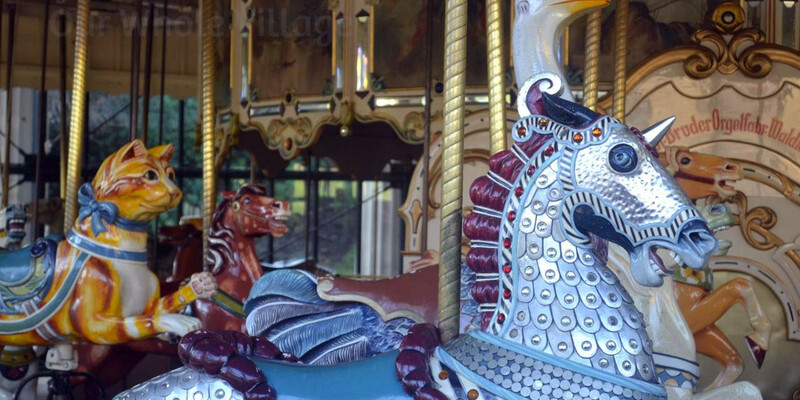 Established in 1888, there is something special here that many playgrounds do not offer – an authentic carousel. While this historic gem provides a delightful center of wonder and mental stimulation, the entire Children’s Quarter is marked with a sense of youthfulness, fun, and invigorating action. Accommodating the flood of children who need to release their ever-growing energy, merry-go-rounds with their dizzying satisfaction, serves as one of the many momentary distractions related to a playground. When pushed, the merry-go-round sends loads of children into circular flight. When it comes to enjoying the same type of excitement, but on a far impressive level, carousels provide a magical ride into a dreamland that individuals of all ages may appreciate. At the Children’s Playground, this kind of unique enchantment is brought to life and presents yet another remarkable Golden Gate Park attraction. As you enter the large play area, the laughter and energy of local children often fills the air. Swings lift high into the sky as ponytails and braids latch onto a playful breeze. Large tubes allow kids to crawl through whatever their imagination can think of; perhaps the path towards buried treasure or the inside of a submarine. Planks test balance and courage, while colorful slides decorate the playground, allowing a long uncontrolled drop from the sky to a new starting point that is filled with more fun and excitement. While the carousel offers a delightfully placed center of wonder and mental stimulation, the entire play space is marked with a sense of youthfulness, fun, and invigorating action. A blend of old and newer features decorate the children’s playground – a setting filled with a harmonious intermingling of rock, rubber, plastic, dirt, grass and sand. Children now cling to reach the next level of a towering rope climbing structure. A climbing wall shaped like waves offers textured exploration. 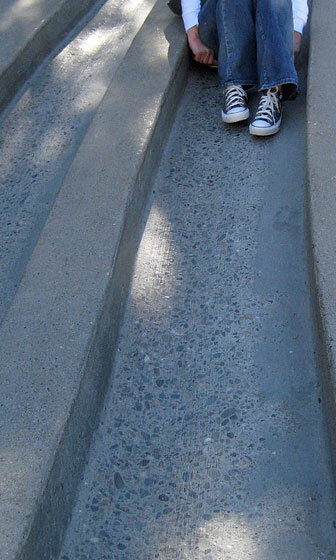 With a piece of cardboard in hand, kids and adults alike can rip down the historic concrete slide. 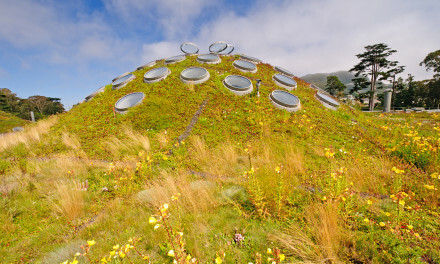 There are patches of grass for visitors to settle into, read a book, and watch the kiddies from afar. While there are no tennis or basketball courts, you will find larger grassy fields adjacent to the playground, which provides a space for group games. There is also an area designated for dog lovers to mingle. Since the playground opened, there have been three carousels at Golden Gate Park, but the one that currently entertains is a beauty built in 1914 by the Herschell-Spillman Company. With a whirl of horses, dogs, roosters, and other creatures, the inside of the carousel also offers painted panels that illustrate Bay Area landscapes. For a small fee, children and adults can take a ride on the carousel. The carousel is one that illustrates an interesting part of 12th century Arabian and Turkish tradition. Derived from the Spanish word, carosella (meaning “little war”) real horses and lances were used to engage in a game of horsemanship and technique that was taken quite seriously. The game traveled across the continents, setting in Europe during the 1680s, where the act became a bit of a spectacle. Eventually, wooden horse contraptions were created for members of young royalty to get ready for upcoming tournaments. It was from this design that the modern carousels flourished, bringing in the “Golden Age” of the carousel from 1880 to the early part of the 1930s. At one time, more than 7,000 carousels thrived, but now only 300 of these beauties exist with a very special example residing in Golden Gate Park. While the 1912 Herschel-Spillman carousel stands as the true gem of the playground, the park also offers many traditional childhood favorites, such as slides and swings. It has been the tradition of one of the oldest children’s playgrounds in the United States to have a carousel as part of its environment. 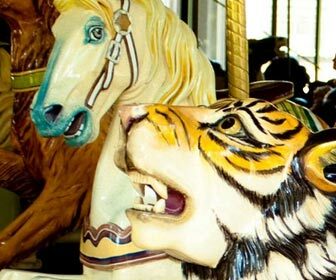 Throughout the years, the concept has remained the same, but involved different specimens, which brings us to the third and current carousel on the grounds. This example of exquisite craftsmanship was originally carved and produced by a North Tonawanda, New York company, Herschell-Spillman in 1912. At first, the carousal was powered by steam, but when PG&E offered to loan an electric motor to the park, officials gladly agreed to pay the remaining expenses. The carousel led a well-traveled life, appearing as one of the main sights at the 1939 World’s Fair on Treasure Island, and also decorating several public arenas about the West Coast. The illustrious, original carousel showcased 62 animal figures, decorative benches, alluring picture panels, and even an organ. The Herschell-Spillman creation enjoyed a long, continuous run until 1977 when a mechanism failed to work. 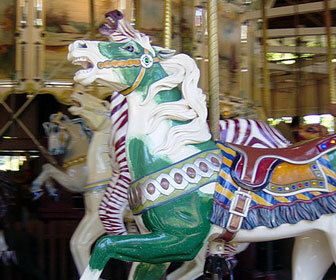 Dubbed mechanically deficient, as well as lagging in its original visual appeal, the original carousel was sent to a restoration team for repair. Paint was removed and the surfaces received a facelift, as missing parts were carved anew. The animals received a proper paint job, utilizing a radiant palette of colors. A German band organ was also installed in the carousel, which fills the air with an audio kaleidoscope of pleasure. The reopening of the revamped carousel took place in 1984 and was well received by the public. Today, many come from near and far just to experience a whirl on the historic Golden Gate Park carousel. 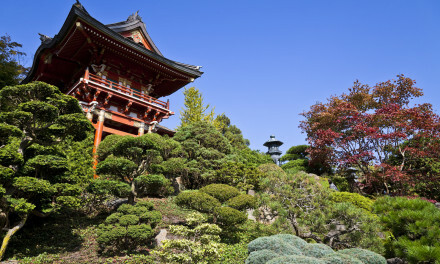 Address: Koret Children’s Quarter is located just off of Kezar Drive (on the southeast side of Golden Gate Park). The playground is found right next to the carousel at Bowling Green Drive between John F. Kennedy Drive and Martin Luther King Jr. Drive. Carousel Hours: The carousel is open on a daily basis. From Memorial Day to Labor Day, on Saturdays, Sundays and holidays, from 10 a.m. to 6 p.m.; and Mondays through Fridays, from 10:30 a.m. to 5:00 p.m.
From the day after Labor Day through the Day before Memorial Day, on Saturdays, Sundays and holidays, from 10 a.m. to 4 p.m., and on Thursdays and Fridays, from 10:30 a.m. to 4:00 p.m. The last ride is set to take place 15 minutes prior to closing. If you are interested in reserving the picnic area adjacent to the carousel and playground, contact (415) 831-5500. Carousel Ride Cost: Adults, ($2), children ages 6 to 12 years ($1 per ride), and children 5 and under are free when accompanied by a paying adult. Please note that children under 40″ in height must ride with a paying adult.